ILAMED is dedicated to the teaching of Aesthetic Medicine to licensed physicians who have a scientific interest in exploring the aesthetic medical facet of their clinical practice. 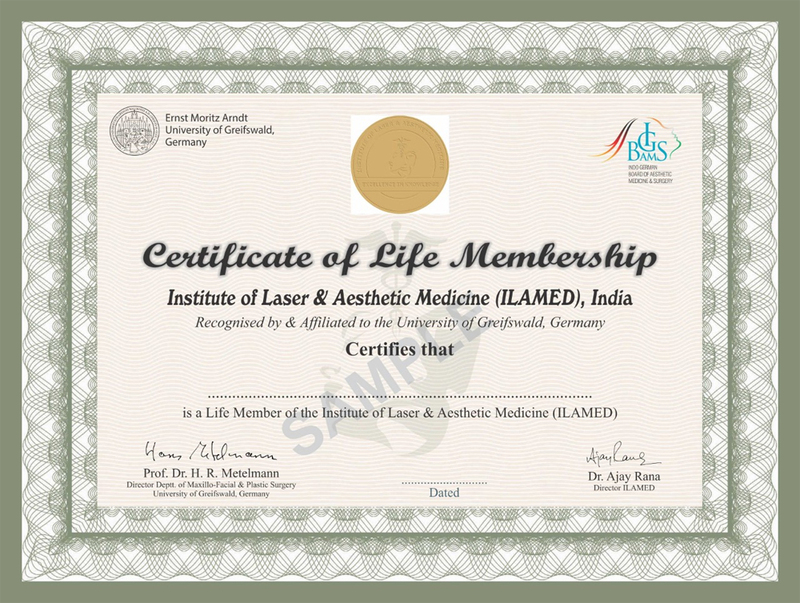 This can enhance your practice regardless of medical specialty, therefore, membership in the ILAMED is open to a wide variety of medical practitioners; dermatologists, cosmetic surgeons, general practitioners, family practitioners, obstetricians/gynaecologists, dentists, ophthalmologists and ENT specialists, to name but a few. ILAMED’s goal is to provide quality education for the development of clinical skills in Aesthetic Medicine, by organizing courses and sponsoring congresses, seminars and workshops through India & abroad. This clinical training will equip Aesthetic Medical practitioners with the latest national and international techniques, technologies and programs that focus on Aesthetic Medicine.